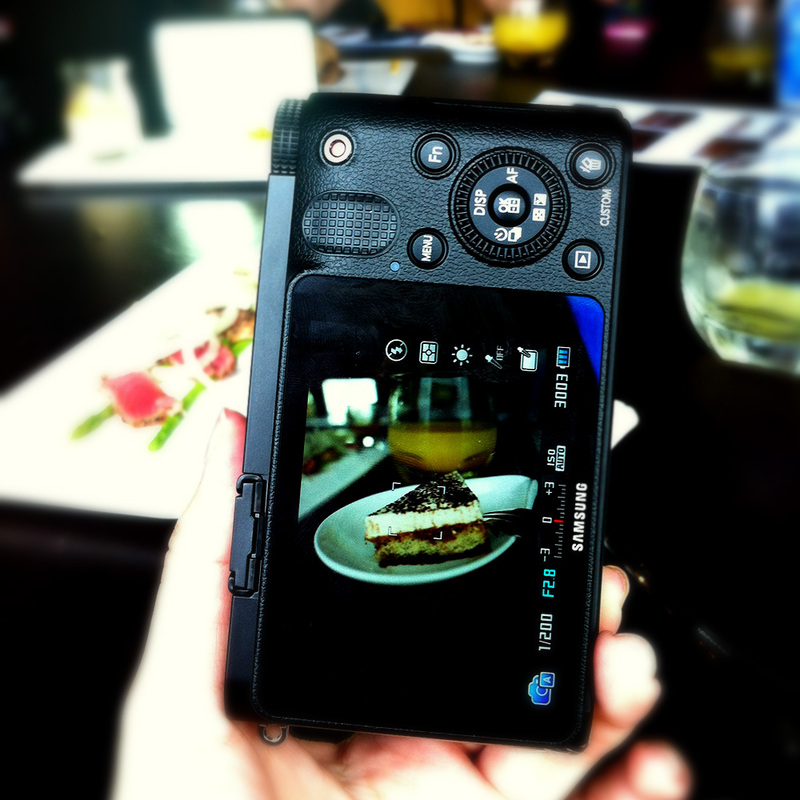 Signed up for the ‘HWZ PlayTest: A Shot of Goodness with Samsung NX1000’ Workshop! by Samsung and HWZ with Lynn through the Herworld's EDM. We signed up at the same time, but only I received the invite. I was quite disappointed as I was to go alone and due to last night's late night, I could not really get up early and was about 5 minutes late into the event. The event was held at Zero Zero, #04-86 at Central. The event had already started and it lasted about 2 hours, from 1.30pm to 3.30pm. Each of us were given a slice of coffee chocolate cake and a cup of orange juice. There were 3 speakers in total. Two from HWZ and the last was a lecturer from Ngee Ann Polytechnic. Powerpoint slides printout was also provided by the last speaker. 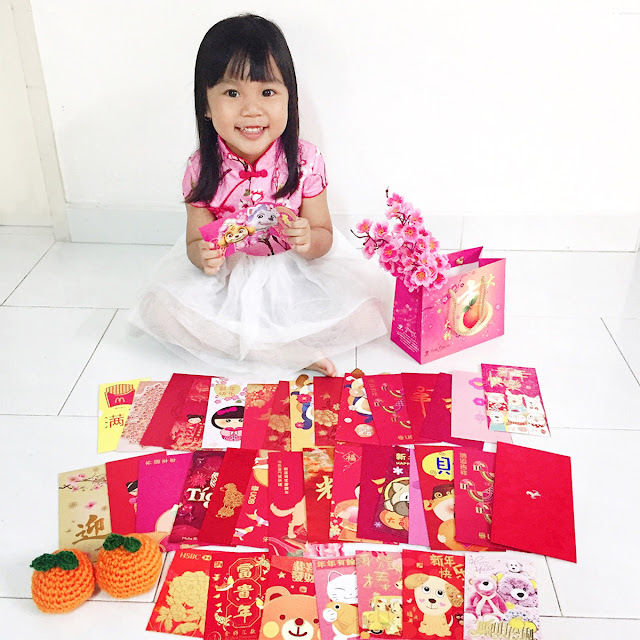 He also had quizzes and the clever and fast participants received prizes like spa vouchers. William's powerpoint slides. The refreshments/snacks given. 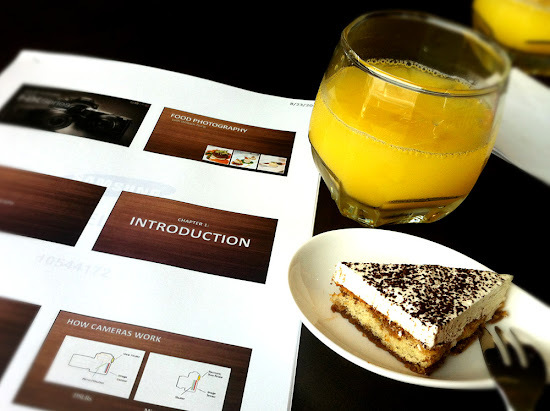 The workshop consists of topics covering Mirrorless Cameras, in consumer's point of view, the technical aspects of mirrorless cameras, and the last part was on How to take Food Photography. 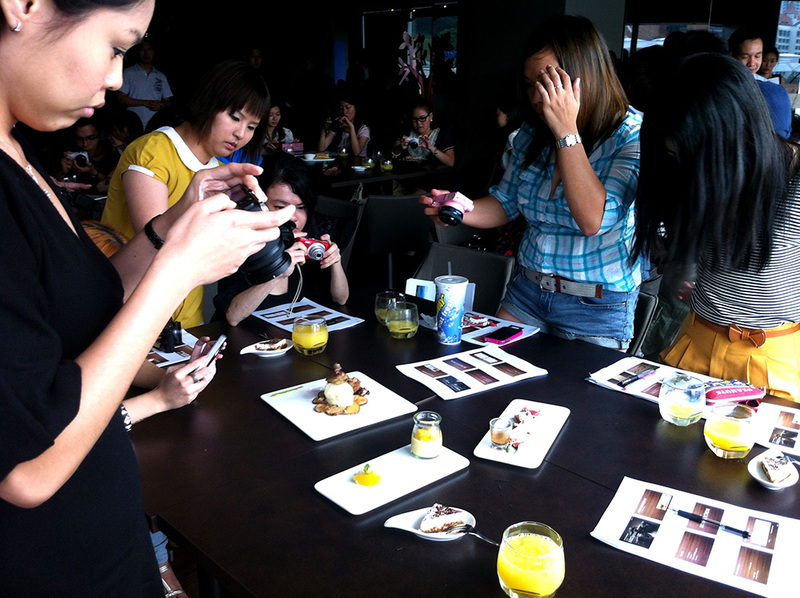 Basics on photography like exposure, adjusting the Shutter, Aperture and ISO and also the things to note when taking food photos. The best is to place the food against natural light and with the aid of side light to brighten the dark shadow cast on the subject. Things color-complimenting the subject can help aid the composition. 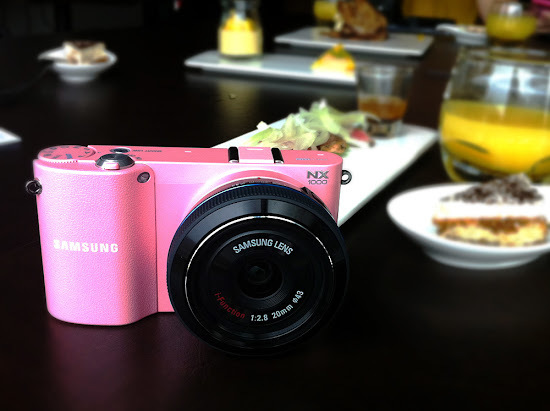 Of course, the main lead for the day is the Samsung NX1000. It comes in 3 colours, Black, White and Pink. Its image sensor is about 20.3MP. Its main selling feature is the ability to upload the photos directly to any social media platform through Wi-Fi. We were then given a hands on session to try out the Samsung NX1000 camera and try out the tips given by the speaker with some dishes prepared by Zero Zero. A food blogger with some questions for the first speaker. Everyone's busy trying out the camera and the tips. Black Samsung NX1000. The interface of the camera. Pink Samsung NX 1000 with the pancake lens. 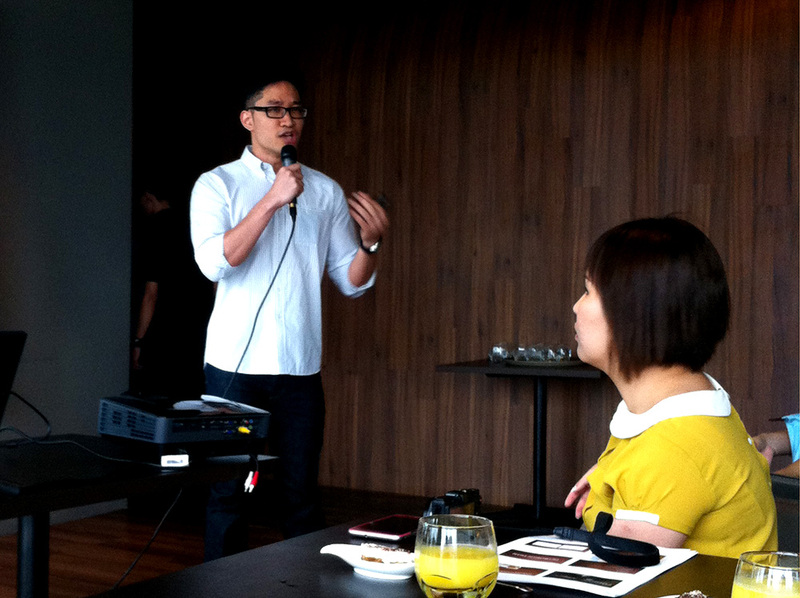 More photos from Samsung Singapore Facebook. 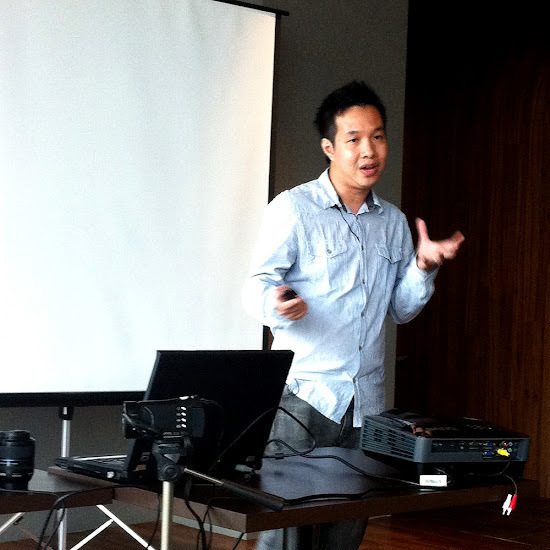 Share your thoughts about the workshop on Samsung Singapore’s Facebook Fanpage before 30 August, 2012 and stand to win a Samsung NX1000 camera! That’s it! 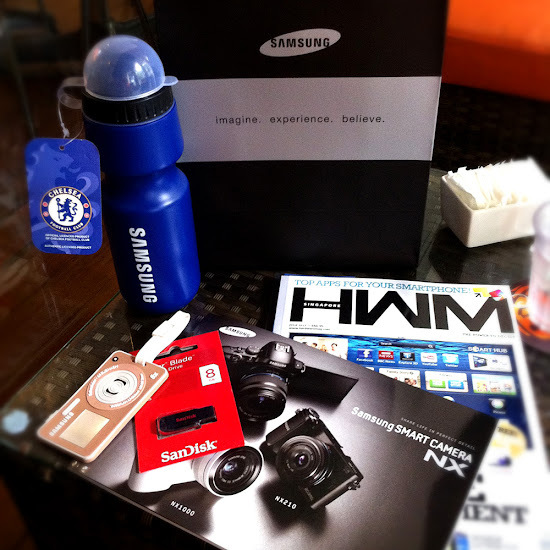 And Samsung will select one winner from the comments to win the camera.